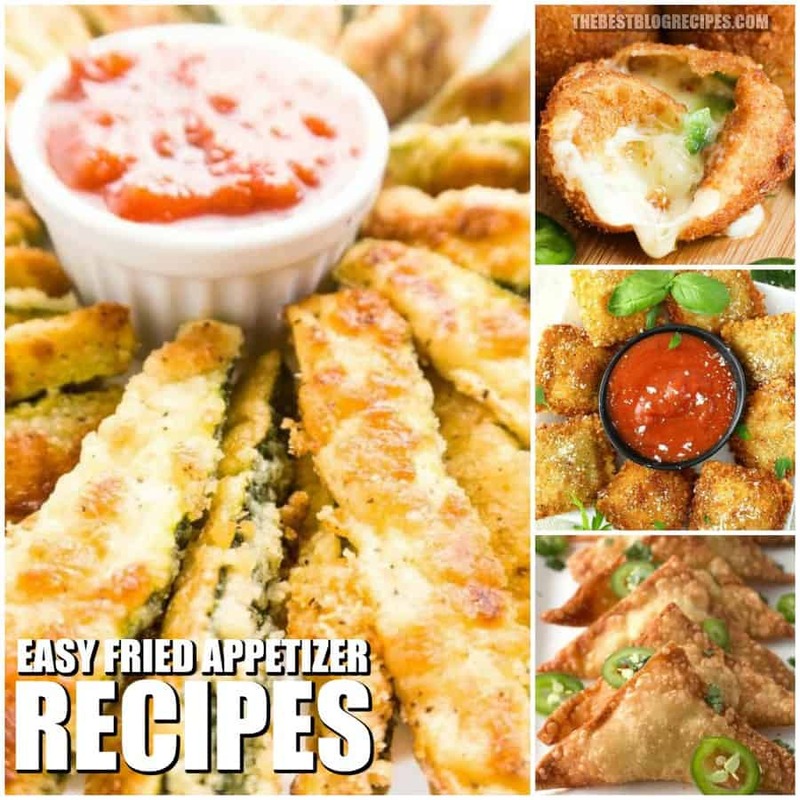 Easy Fried Appetizer Recipes are a necessity for every game day, family party, and dinner! The texture and savory flavor of these incredible snacks will seriously leave everyone with a new favorite appetizer they will want to make again at home! 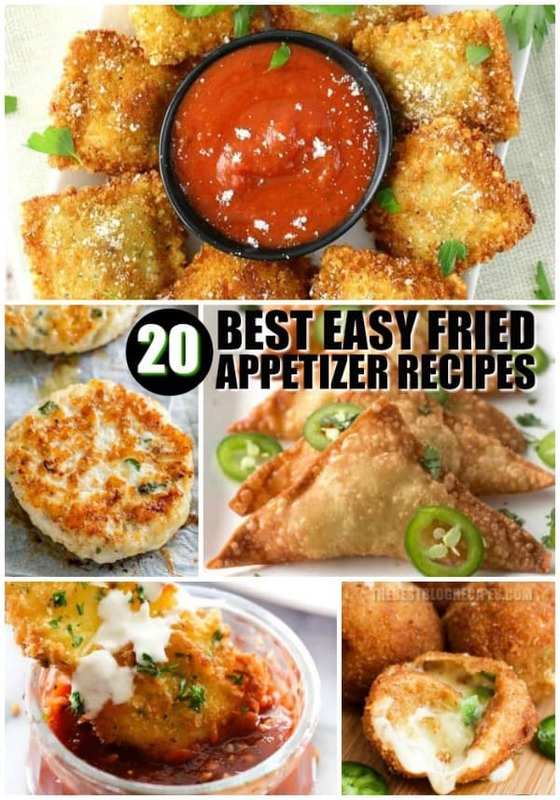 Find the best deep-frying recipes, videos, and ideas here on The Best Blog Recipes. I am always looking for new and super amazing appetizer recipes. For some reason I am always in charge of making the appetizer for different functions and family parties — and it feels like I am making the same things over and over again. So boring! 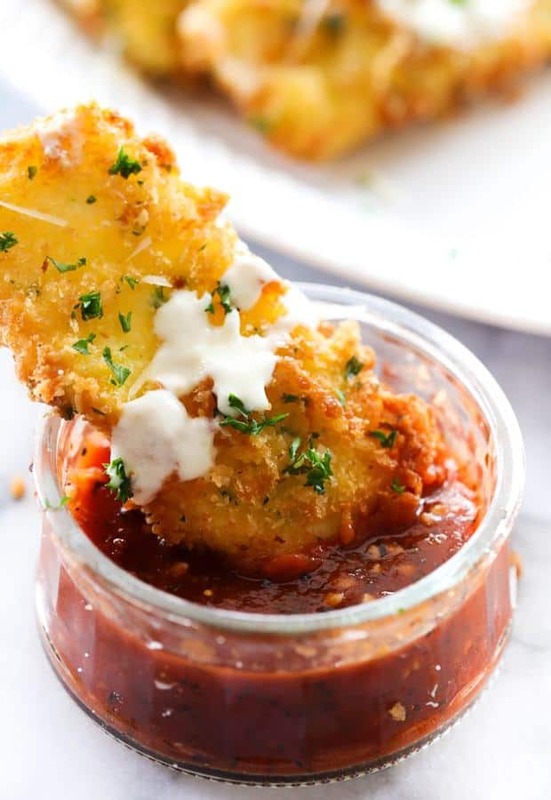 To bring some diversity to the appetizer section of my collection of recipes, I started trying Easy Fried Appetizer Recipes, and I have not been disappointed! Fried foods hold a special place in my heart. The crispy outside, the hot and gooey inside… I just can’t get enough! If you think you just want to play it safe and make that same old pasta salad stop yourself and try one of these scrumptious recipes. It is always a safe bet because everyone loves to eat a good fried food! I am so glad that I discovered these recipes because they have changed my appetizer game forever. Never doubt the power of breading and frying a jalapeno, my friends! Crispy, fried foods are always a cult favorite! Today I’ve compiled a list of the cheesiest, spiciest, easiest fried appetizers you’ll ever find! From fried shrimp to fried pasta, this list has everything! Take a gander below, you won’t be disappointed! Honestly, when isn’t it a good time to serve up some hot, fried foods to the ones you love? I can’t imagine anyone turning down an appetizer, especially a fried appetizer. Whether it is a special occasion or not, everyone loves them! I like taking Easy Fried Appetizers to –> family parties, Superbowl parties, Christmas parties — the possibilities really are endless! And, as always, these are definitely midnight-snack-worthy morsels. From Amanda’s Cookin :: Click HERE for the RECIPE I love deep fried appetizers, even if I don’t make them often. I’ve always loved jalapenos, so making deep fried jalapeno slices has long been on my list of things to make. With the big game coming up I knew I wanted to try something new. 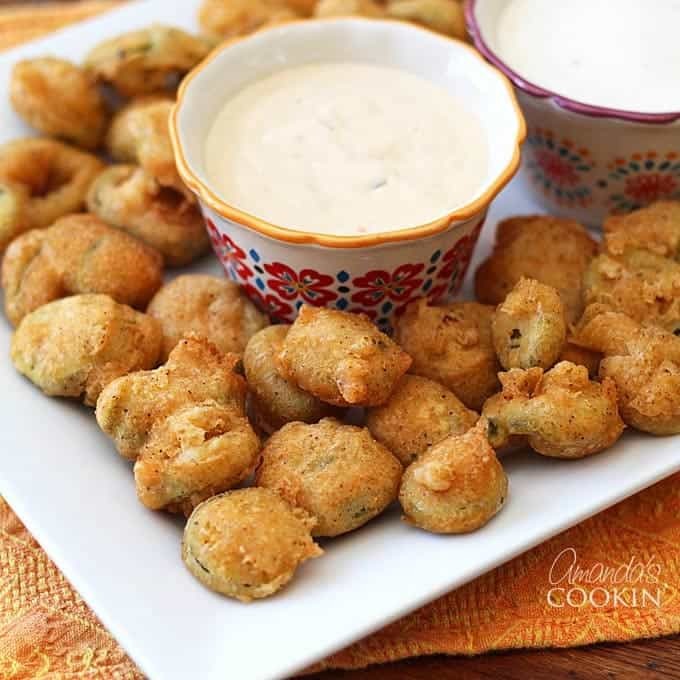 These fried jalapeno appetizers are amazing and I can’t wait to make them again on the big day! From The Chunky Chef :: Click HERE for the RECIPE Like Olive Garden’s toasted ravioli, but better! 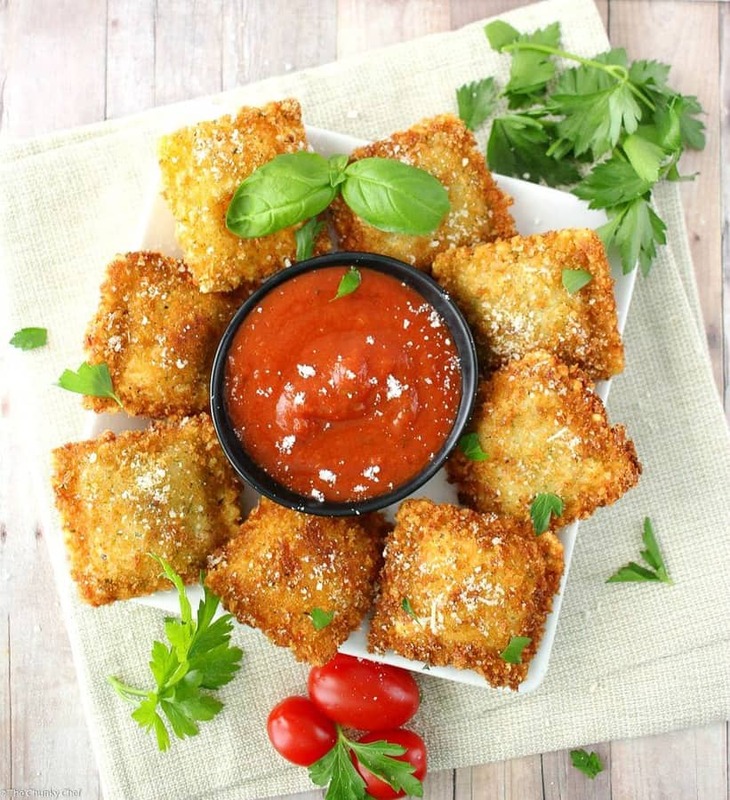 This crispy fried ravioli is easy to make, yet impressive. Perfect for a party, or the family dinner table. 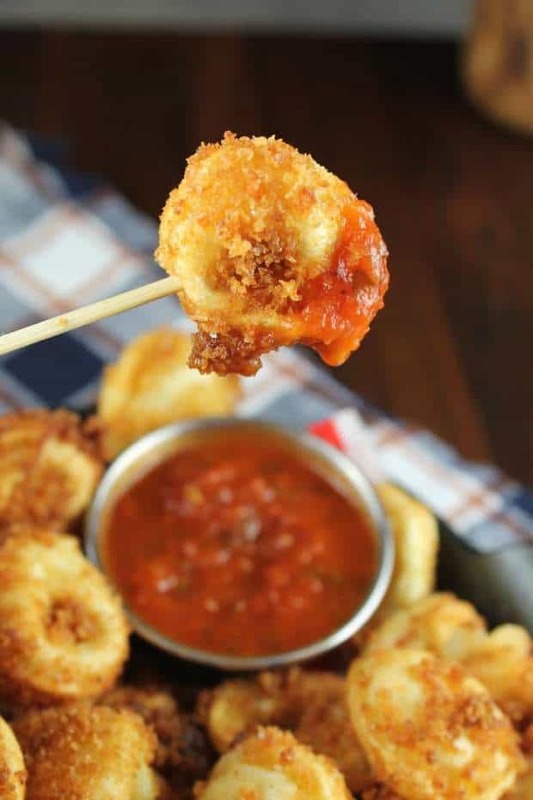 From Miss in the Kitchen :: Click HERE for the RECIPE Fried Tortellini is the perfect party appetizer recipe. Bites of crispy, crunchy pasta filled with cheese and even better when dipped n classic marinara. 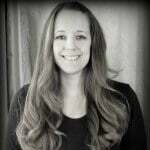 From Tornadough Alli :: Click HERE for the RECIPE A cheesy and spicy appetizer these delicious Copycat Texas Roadhouse Rattlesnake Bites are the perfect appetizer to any meal! 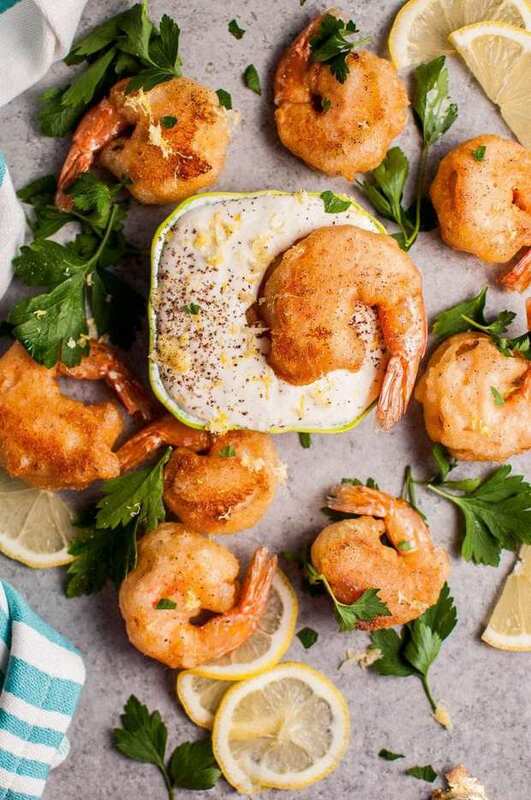 From Salt and Lavender :: Click HERE for the RECIPE These crispy beer battered fried shrimp make an awesome appetizer! The dipping sauce is fresh and zesty. 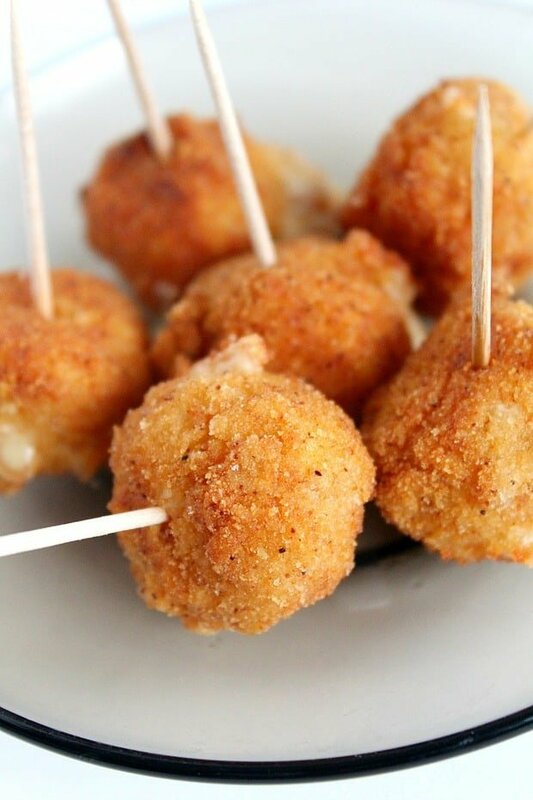 From Chef in Training :: Click HERE for the RECIPE Fried Mozzarella is simple, delicious and a perfect appetizer. The outside is crispy with a gooey soft cheesy inside. It is drizzled with Alfredo and paired with Marinara. The flavor combo makes this one outrageously tasty party food! 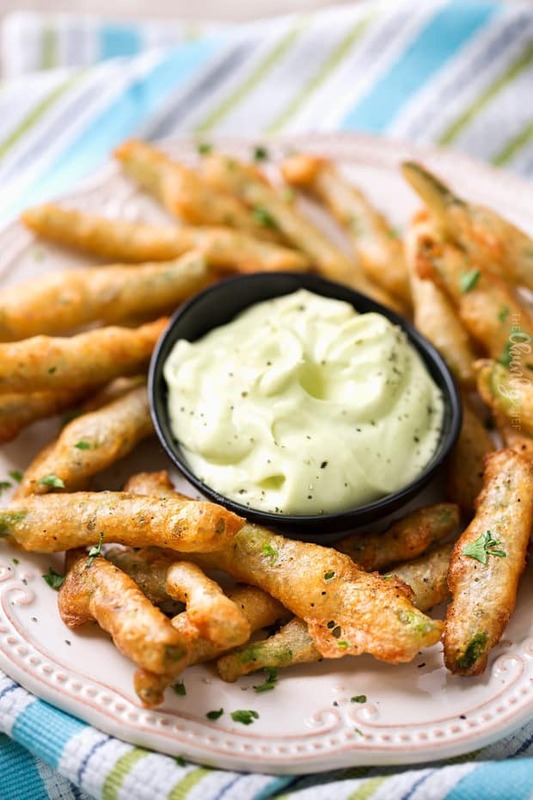 From The Chunky Chef :: Click HERE for the RECIPE Ultra crispy and tender fried green beans are the perfect party appetizer that packs a bold flavor punch with a satisfying crunchy texture! 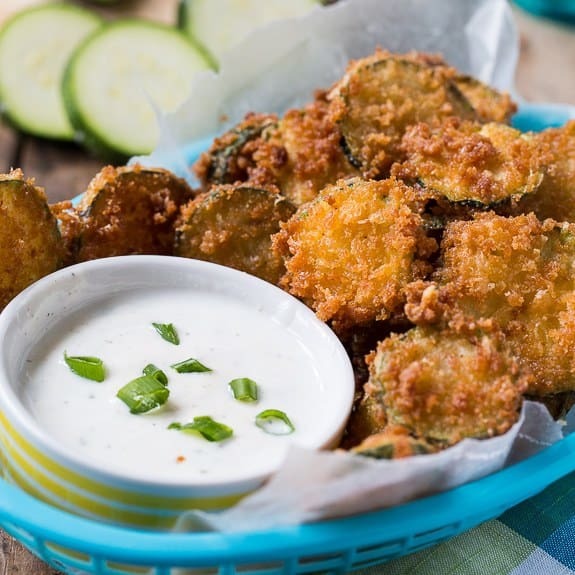 From Spicy Southern Kitchen :: Click HERE for the RECIPE Super Crispy Zucchini Chips favored with a little Parmesan cheese are a great way to use up summer zucchini. Serve with some Ranch for dipping and you have a mouthwatering snack or appetizer. 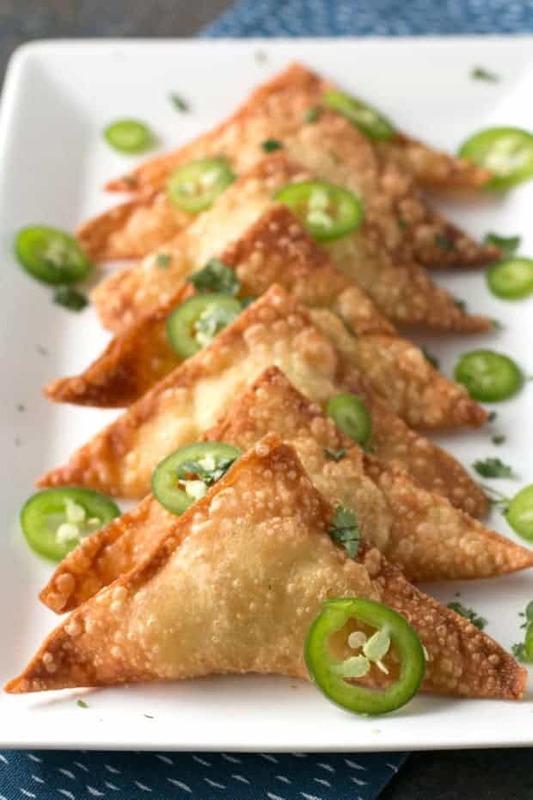 From Cake N Knife :: Click HERE for the RECIPE Jalapeño Avocado Cream Cheese Wontons are essentially a fried, amped up version of your favorite jalapeno cream cheese poppers appetizer! The creamy and spicy filling wrapped in a fried wonton wrapper makes these poppers a fantastic party appetizer or even an afternoon snack. From Spicy Southern Kitchen :: Click HERE for the RECIPE Summer is about corn for me. Ok, maybe okra and tomatoes too. And maybe squash and field peas, peaches, blueberries, and blackberries. There are so many wonderful foods in season during the summer it’s hard to pick a favorite. 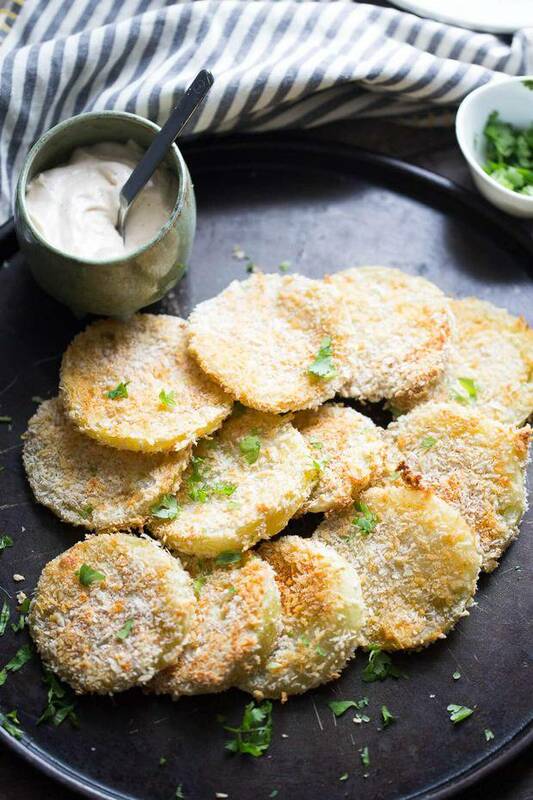 From Lemons For Lulu :: Click HERE for the RECIPE There’s nothing “fried” about these oven fried green tomatoes! Plump tomatoes are dredged in flour, and Japenese breadcrumbs then baked until crisp. Serve these along with a simple chipotle ranch dipping sauce and you have yourself a little taste of the south! From Easy Peasy Creative Ideas :: Click HERE for the RECIPE Entertaining soon but don’t have much time to spare on making fancy, time consuming appetizers? 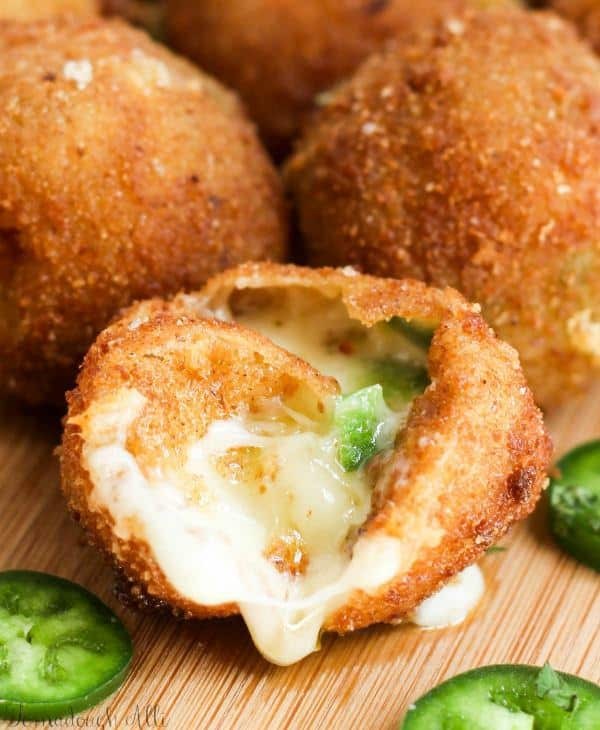 This spicy fried cheese balls recipe is so insanely easy to make and perfect for any party! From A Family Feast :: Click HERE for the RECIPE Inspired by that local restaurant, we decided to try making our own version of Wicked Pickles at home – and we’re sharing our recipe with you today! Enjoy! 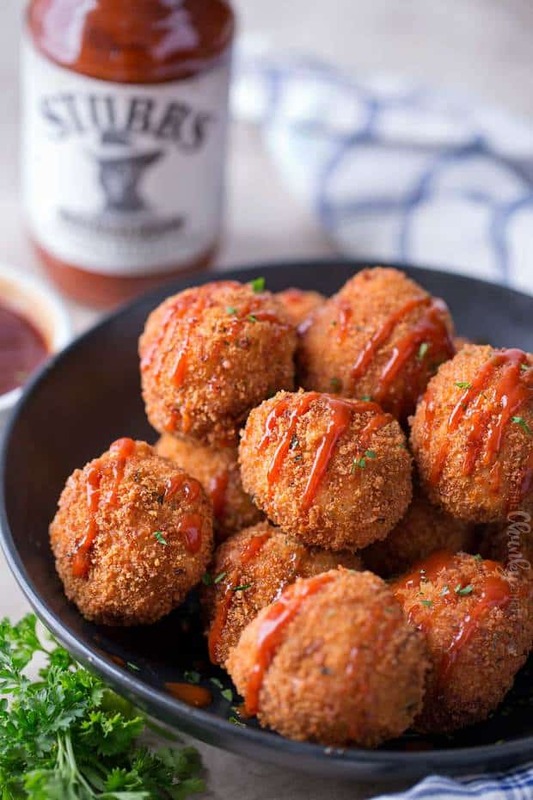 From The Chunky Chef :: Click HERE for the RECIPE Fried Mac and cheese bites, made with five-cheese Mac and cheese mixed with BBQ pulled pork, for the ultimate game day appetizer! 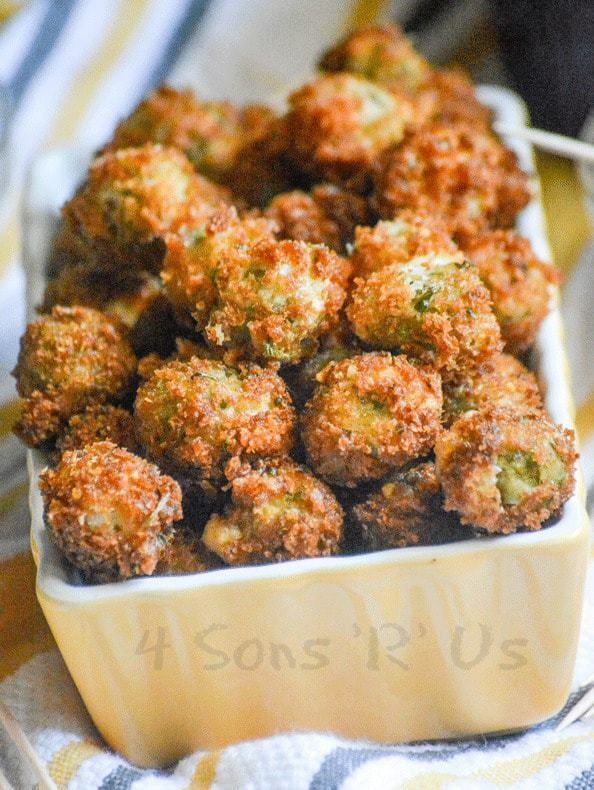 From 4 Sons R Us :: Click HERE for the RECIPE A crispy treat with a briny, sweet surprise hidden inside- these Fried Olives with Garlic Aioli are the perfect finger food for your next gathering. From Wholesome Yum :: Click HERE for the RECIPE Crispy oven baked zucchini fries made with just 5 INGREDIENTS! 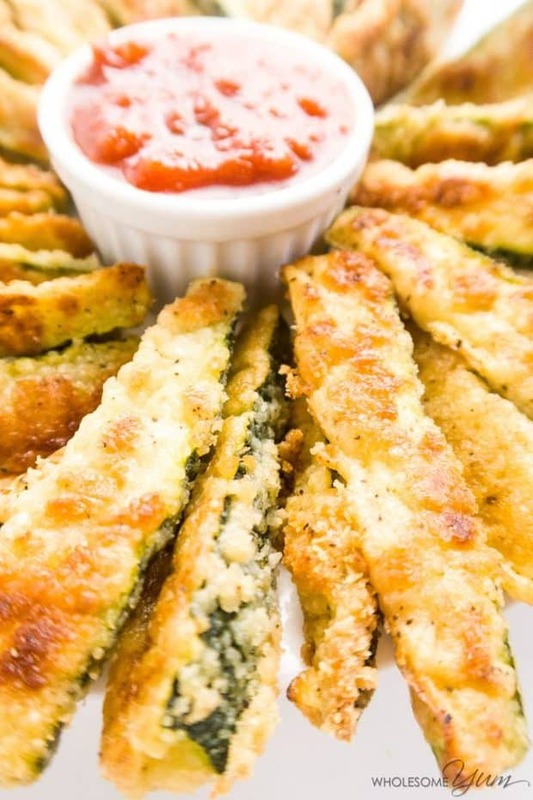 Everyone will love this easy and healthy low carb Parmesan zucchini recipe. 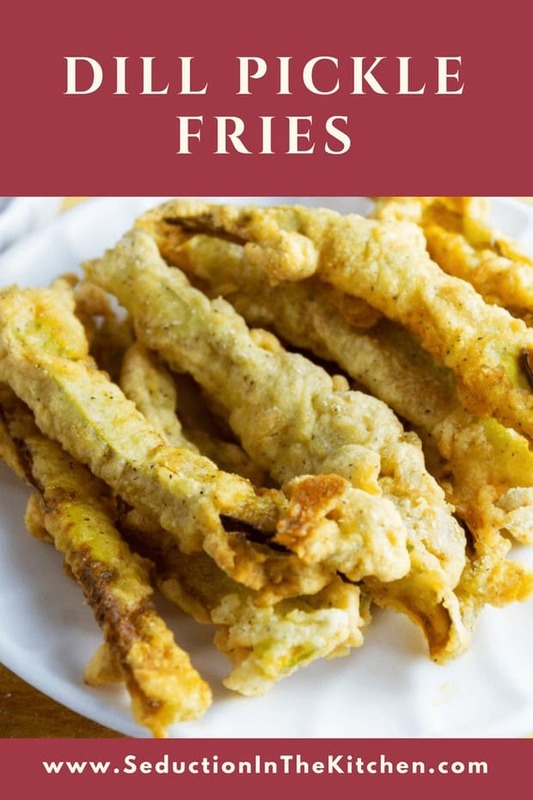 From Seduction In The Kitchen :: Click HERE for the RECIPE Dill Pickle Fries is simply a dill pickle that been cut into thin strips, battered, and deep-fried. 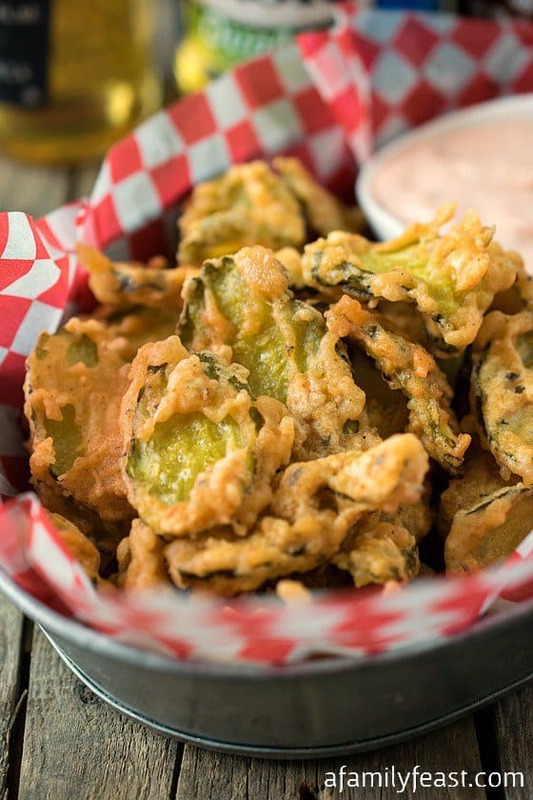 These deep fried pickles are an amazing side dish. You will love these pickle fries! 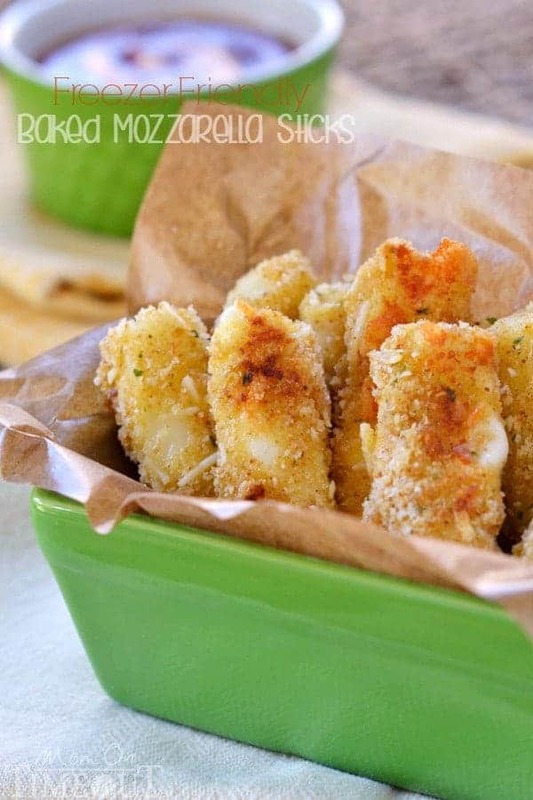 From Mom on Timeout :: Click HERE for the RECIPE These Freezer-Friendly Baked Mozzarella Sticks are going to quickly become a staple in your house. Perfect for after-school snacks, late night munchies, and game day! 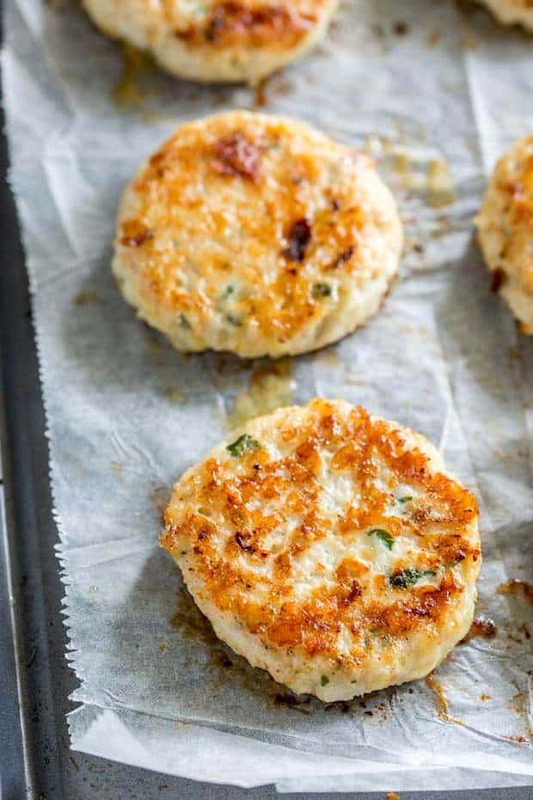 From Sprinkles and Sprouts :: Click HERE for the RECIPE Everyone will love these Cauliflower Cheese Chicken Fritters. Not only do they make great party finger food they they are perfect for a mid-week family meal. Light, crispy, and packed with cauliflower, these are always demolished. 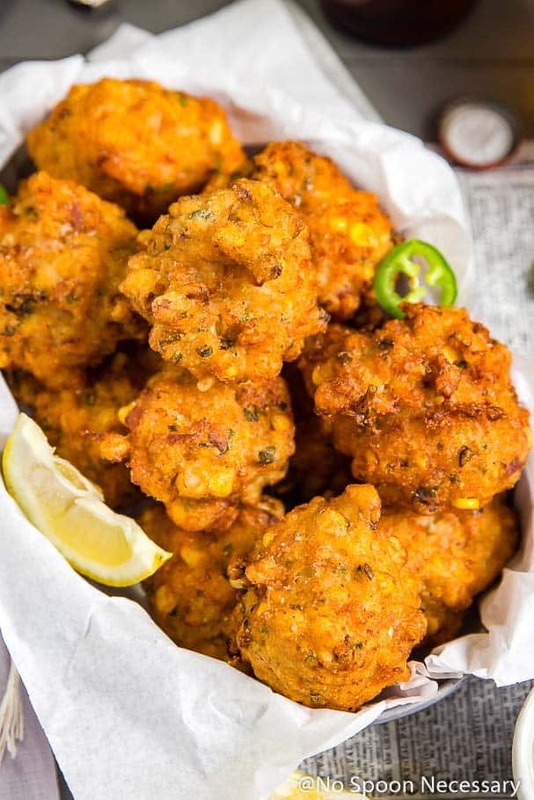 From No Spoon Necessary :: Click HERE for the RECIPE These Lobster & Bacon Corn Fritters are fluffy on the inside, crispy on the outside and filled with real lobster meat, salty bits of bacon and kernels of corn. 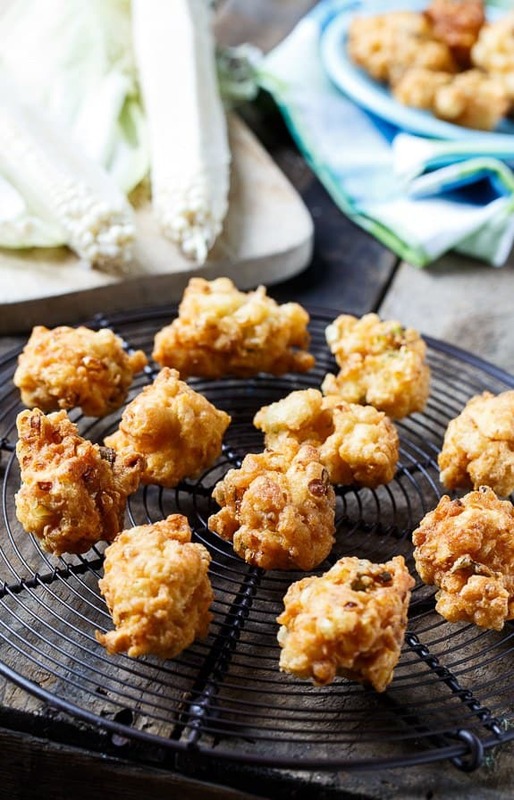 Served with a Jalapeno-Honey Aioli, these fritters are fantastic! !